The holiday season is here and it’s time to start making a list and checking it twice. 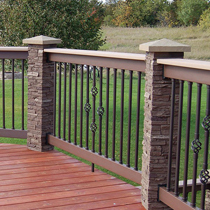 DecksDirect has tons of amazing products that any DIY’er would love to have. From post cap stocking stuffers to a whole new railing system, we have something for everyone. Check out our gift guide below to find that perfect something for your special someone! The popular Camo Hidden Deck Fastening System creates a beautiful, fastener-free deck surface using any treated wood, hardwood, cedar, composite or PVC deck board. The Camo Marksman Pro tool is used to guide the Camo screws into the side of the deck board into the joist. No pre-drilling is necessary and the Camo Marksman Pro provides automatic 3/16" spacing between deck boards. 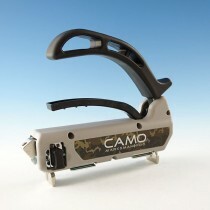 Please note that Camo Marksman tools are designed for use with Camo Hidden Fasteners only. 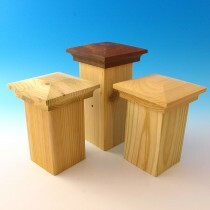 Acorn Post Caps offer timeless beauty, and are handcrafted in the USA out of solid wood blocks. Fun fact - Acorn employs Santa’s elves in the off season to build these caps! The Amherst Inset Demi-Top Post Cap has a simple scallop base that slides over the deck post - make sure to measure posts carefully to ensure a snug fit. 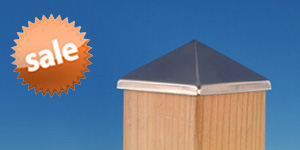 These caps are available in cedar or pressure-treated pine, and need to be treated with wood oil prior to installation. Give the gift of quality American craftsmanship with post caps from Acorn. 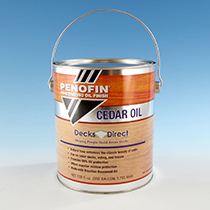 Penofin Cedar Oil is specially designed to increase the natural beauty of cedar decking while also protecting it from UV rays, and is available exclusively through DecksDirect. This one-coat formula contains Brazilian Rosewood Oil that coats wood fibers to enhance the color and protect from the elements, including mold and mildew. With proper application, Penofin Cedar Oil will perform for 9-24 months on horizontal surfaces and 2-5 years on vertical surfaces. Whoever receives this gift will be enjoying the rich tones of their cedar decking all year long! Gift the gift of pure beauty with an Ornamental Accent by OZCO. 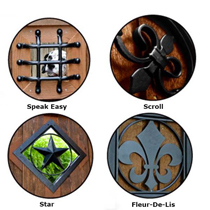 These galvanized steel accents can be used on any fence or gate and offer exquisite craftsmanship that cannot be matched. The powder-coated finish will protect against rust and corrosion. These accent pieces can be installed as a surface mount over wood or as a cut out, providing a view to the other side. Available in four unique designs, an Ornamental Accent by OZCO would be a welcome gift for any home owner or builder. For no-nonsense types who appreciate well-designed essentials, the Pheinox RSS Stainless Steel Screws from GRK are the perfect choice. 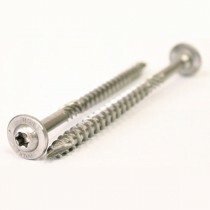 These lag-screw alternatives require no pre-drilling and are made of hardened 305-grade stainless steel, meaning they are perfect for both interior and exterior use. The Pheinox RSS screws feature a built-in washer head that doesn't have sharp edges and a six-threaded CEE thread that reduces the likelihood of splitting because it enlarges the hole. IPE Wood Tiles by Bison are a great gift for those who wish to achieve the natural beauty of real wood without the hassle. These pre-assembled tiles can be used as roof pavers on deck pedestals, over concrete patio, or practically anywhere the look and feel of a deck is wanted. IPE, a Brazilian hardwood, is sourced sustainably, making it perfect for the eco-conscious friend or family member on your list. IPE can be treated with wood oil to preserve and enhance the original color of the tiles or it can be left untreated to develop a natural grey/silver finish. 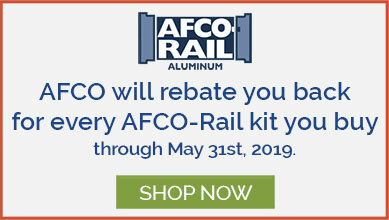 Offer the gift of safety and security with an aluminum handrail from Westbury. 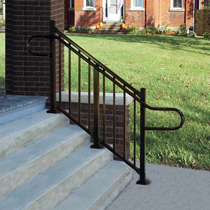 The company offers ADA-compliant continuous handrail components in the same durable and attractive finishes as their Tuscany rail kits. Secondary handrails can be customized to meet the needs of each individual with several different options for optimal performance. 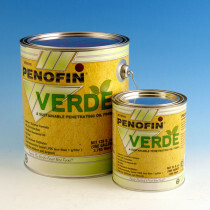 For a quality stain that is odor-free, Penofin Verde Interior/Exterior Formula is an excellent option. Available in 21 brilliant colors, this quality oil finish offers 99% UV ray protection and can be used both indoors and outdoors. The finish has 0 VOC, meaning it’s safe for families and pets indoors or out, Penofin Verde uses vegetable- and plant-based ingredients rather than petroleum by-products. 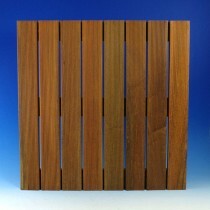 Apply it on decking, rails, wood furniture and more for an amazing yet eco-friendly look. Enhance the look of any deck using SlateStone Post Covers. These durable post covers provide the look of realistic stone without the work. Made from composite polyurethane, SlateStone post covers from NextStone are easy to install and maintain. The covers use exterior construction adhesive - no stonework required! A great gift for anyone looking to increase the aesthetic value of their deck or fence, the SlateStone Post Cover comes in six attractive colors - pick your favorite today. Create an outdoor oasis without inviting in unwanted pests with the Increased Visibility Screen by BetterVue. 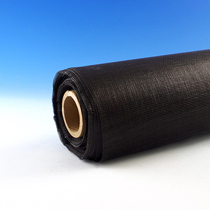 This innovative product provides a premium alternative to fiberglass screen and is made from permanent glass yarn coated with vinyl. The screen can be used with ScreenEZE® framing components for easy installation. Give the nature lover in your life the chance to enjoy the great outdoors without bugs or rain getting in their way. 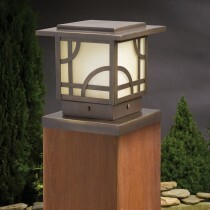 Post cap lights are a great way to add illumination and ambience to any deck or fence and the Larkin Estate post cap light is no exception. This exquisitely designed light features an attractive dark bronze color and umber-etched glass. The Larkin Estate fits a standard 4x4 post or use the included post adapter to allow for use with a 6x6 post as well. This impressive post cap light would make a great gift for any homeowner with discerning taste. The Evolve Rail System is the perfect marriage of strength, safety, and beauty and would make an excellent gift for anyone needing a railing upgrade. The Level Aluminum Insert Panels can be configured with ease, offering the polished look of metal balusters but without the hard work. The Evolve panels include a built-in ⅛” spacer for drainage, making maintenance a breeze. 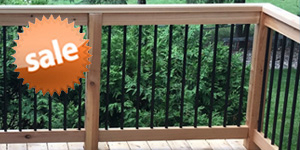 Choose from black, bronze, or white and create an attractive railing system that is sure to impress. 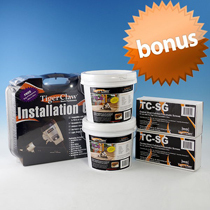 TigerClaw hidden fasteners are some of the most sought-after deck screws in the business, and this special bundle package is sure to delight any builder or DIY fan. Included are two boxes of NailScrews, two gun pails, and a FREE installation gun! That is nearly $300 in savings! Eliminate unsightly screws from view with the TigerClaw hidden fastener system - you (and your loved ones) will be glad you did. 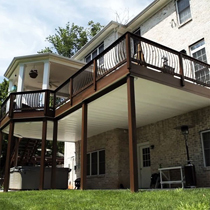 Utilize the space beneath an elevated deck with the Zip-Up UnderDeck system! Lightweight PVC components create a watertight seal, offering a new way to enjoy the outdoors. Zip-Up Underdeck can be installed with five simple steps, using common household tools. This drainage system is configurable to any size deck’ it’s vital to get clear measurements before ordering the different components. Create another space to enjoy nature with the Zip-Up UnderDeck Drainage System - it’s easy! Do you want to enjoy your beautiful view without deck railing getting in the way? The innovative VertiCable railing system from Westbury is the answer. 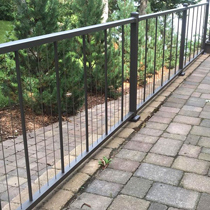 This railing system uses stainless steel cable infill with aluminum rails, offering an unobstructed view with little maintenance required. Installation is extremely easy, as VertiCable kits arrive 95% assembled. This durable and attractive system is available in three gorgeous colors and two heights, so it would make a great addition to virtually any property. Recessed step lights are an excellent way to increase safety and beauty and the Millennium model from Dekor is a great choice. 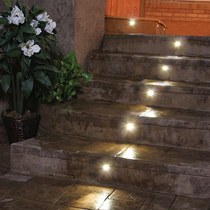 These energy-efficient lights are easy to install and look amazing when illuminated. The lights are available in four gorgeous colors, meaning you’ll find the perfect fit for anyone. They'll produce 100,000 hours of light – which means 8 hours a day, all year long, for 34 years - it’s the gift that keeps on giving!